Have you ever been asked to match stone, match brick or roof tiles that aren't being manufactured anymore? Clients do not want to fill a hole with the wrong color or shape brick or stone, so insurance is faced with an expensive dilemma of removal and re-bricking. Demolition and Restoration can be long noisy, messy and dusty ordeal that can damage windows, lawn, landscaping, paint, and more-at prohibitive cost. But if the wrong size, shape or color, is used it immediately devalues a house. There's no need to re-brick or lay stone for the whole building or even an entire wall for want of a few bricks or stones. You can send five representative bricks or stone from the damaged area, along with a photograph, and Stone Art will match them free of charge. While Stone Art does not do the installation, they do give advice on matching mortar and /or cleaning it. This is very important, because 30 percent of the visual color on a wall is the mortar joint. If the joint is not matched, the wall will not match. Stone Art not only matches color, but will custom make odd sizes, unusual textures and combinations. Each one is hand done, it's real brick, so yes, it will last. Stone Art Inc. provides a viable option that gives contractors "an edge" in doing restoration and insurance work. Stone Art can match the customer's brick or stone, rather than just getting the colors as close as possible. 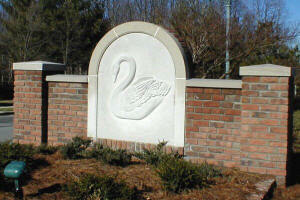 StoneArt Inc. matches brick and fabricates artwork in Limestone. 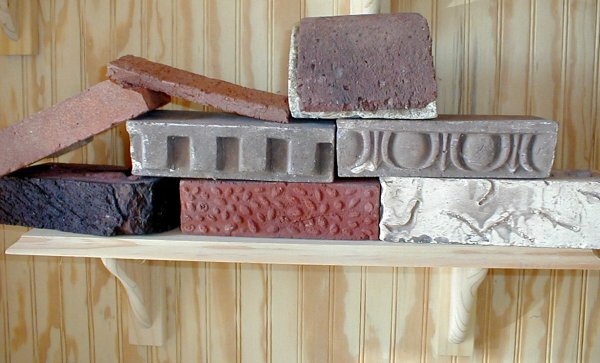 We work with damaged brick for insurance repairs as well as historic restoration. 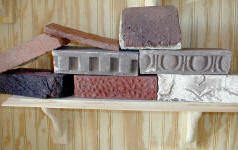 Custom Brick or Discontinued Brick; including odd sizes, shapes, textures and colors. 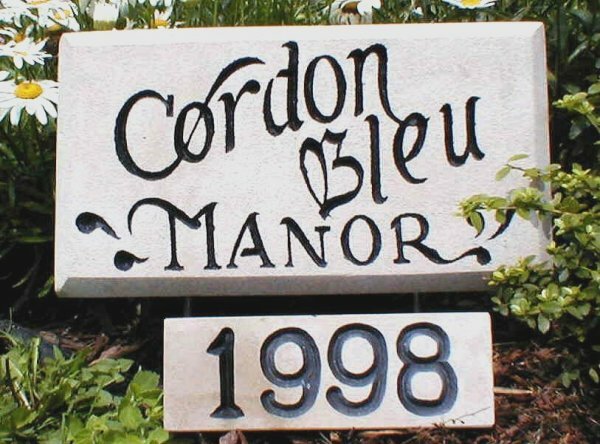 We produce the following designs: Signage, Address stones, Limestone engraving, ornamental rock, Stone lettering, Etched stone, name brick, Memorials/pet memorials, 911 address markers, dedication stones/rocks, lawn stickers, and landscaping stones/rocks.